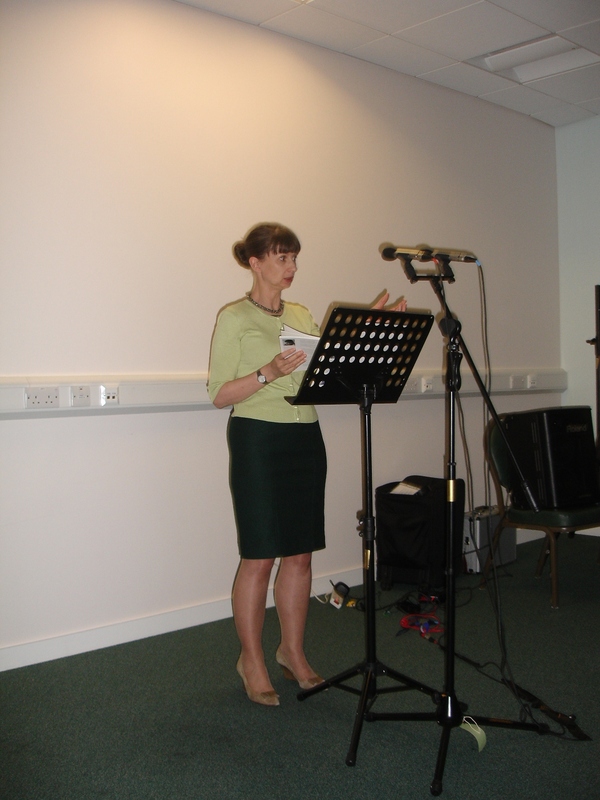 The much anticipated appearance of Allison McVety at Enfield Poets certainly did not disappoint. Having launched her new collection, Lighthouses, just a few days previously in Reading, we were privileged to be among the first to hear some of her new poems. Many of these were virtuoso pieces of writing, and an enthralled Enfield Poets audience frequently departed from the usual poetry recital protocol by breaking into spontaneous rounds of applause after individual poems. One poem, in particular, ‘The Stradivarius Tree’, drew audible gasps of admiration. Book sales at the end of evening were brisk and there was a long queue of poets wanting to speak to Allison and have her sign their copies. This was one of the largest audiences we have ever had at Enfield Poets. Alongside our dedicated group of local poets, all of whom made marvellous contributions to the open-mic section of the evening, there was Trish Harewood, one of the organisers of CB1 Poetry, who had travelled down from Cambridge for the event. There was also Mike Bartholomew Biggs and Nancy Mattson who run the very successful Poetry in the Crypt in Islington. Many other poets, too, such as Mo Gallacio and Carol de Vaughn had travelled in from central London to hear Allison and all agreed it had been a great evening and well worth the journey. If you haven’t yet heard Allison McVety read, I strongly recommend you check her website for details of future appearances (www.allisonmcvety.com).